WAIT ! ARE YOU A REGISTERED STUDENT? 2..USA ,CANADA AND MEXICO APPLICANTS CLICK HERE. The University of America is authorised by the Florida Department of EDucation Commision on Independent Education bySection 1005.06(1)(f), Florida Statutes and Rule 6E-5.001, and 1997 Florida Code TITLE XVI EDUCATION Chapter 246 Nonpublic Postsecondary Institutions 246.084(1)(2)(3) Authorization. To award Associate in Arts, Associate in Science, Bachelor of Arts, Bachelor of Science, Master of Arts, Master of Science, and Doctor of Philosophy in the following categories: ministry, counseling, theology, education, administration, music, fine arts, media communications, and social work as an exempt Christian institution. The University of America's Masters and Doctorate Students at candidate advance level, are eligible to apply for Internship with the UNITED NATIONS through the UN COMPACT GROUP INTERNSHIP OPPRTUNITIES CLICK TO LEARN MORE! 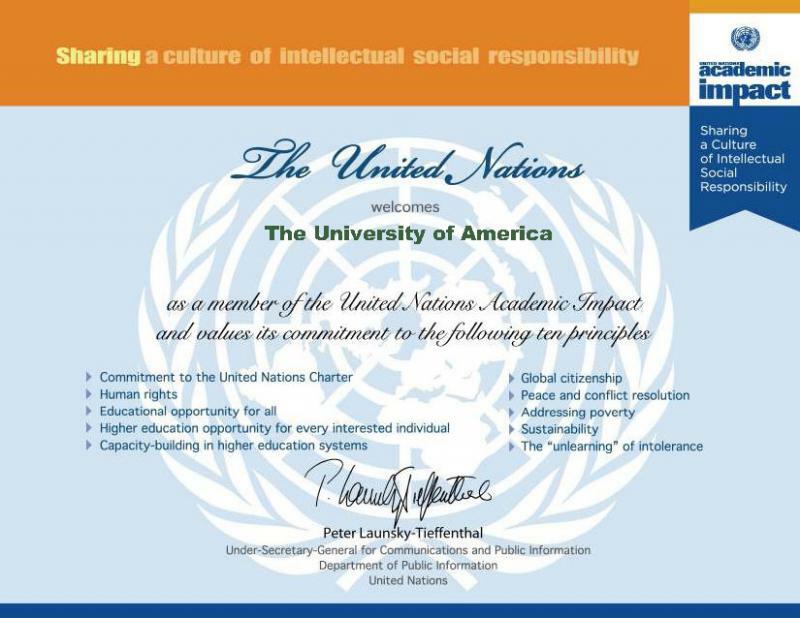 UA graduate and postgraduate students ,search and apply for scholarship funds to intern with the UNITED NATIONS CLICK HERE TO CONNECT !